We took our time off last week and spent a few days on the Kenai Peninsula, mostly in and around Homer. We left here early Thursday morning and drove 600 miles…past Denali, through Anchorage, around Turnagain Arm, down the western side of the Kenai…and arrived in Homer around 6:00 PM. We were about 13 hours on the road. One pleasant surprise we noticed was that diesel fuel is once again the cheapest fuel…at least it is in Alaska. We are paying around $2.75 per gallon, while regular gas is $2.95 and up! Another interesting thing that we noticed was that the satellite dishes were not pointing toward the sky, but toward the southern horizon. Once you think about it, it does make sense since the satellites are generally located nearer the equator. Once we got settled in, we headed out to Homer Spit, an arm of land that stretches a couple of miles out into Kachemak bay. There are several businesses on the Spit, including restaurants, gift shops, tour services, a small boat harbor, fishing guides, campgrounds, etc. 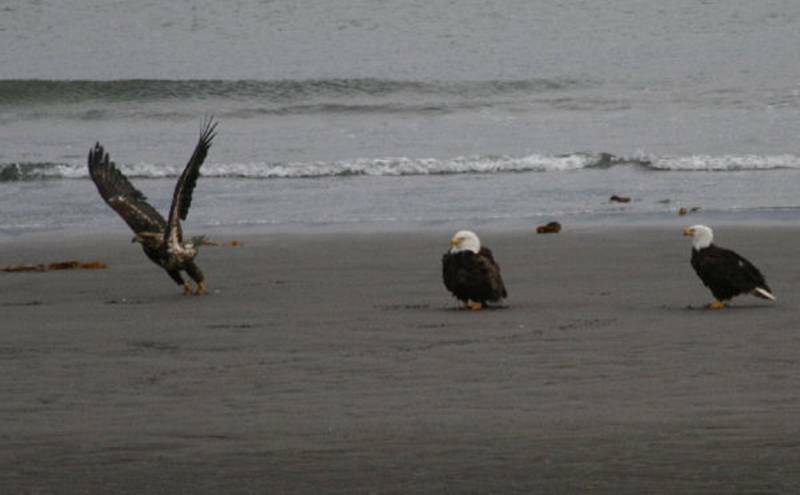 We were very excited to see a family of eagles on the beach giving flying lessons to a youngster. 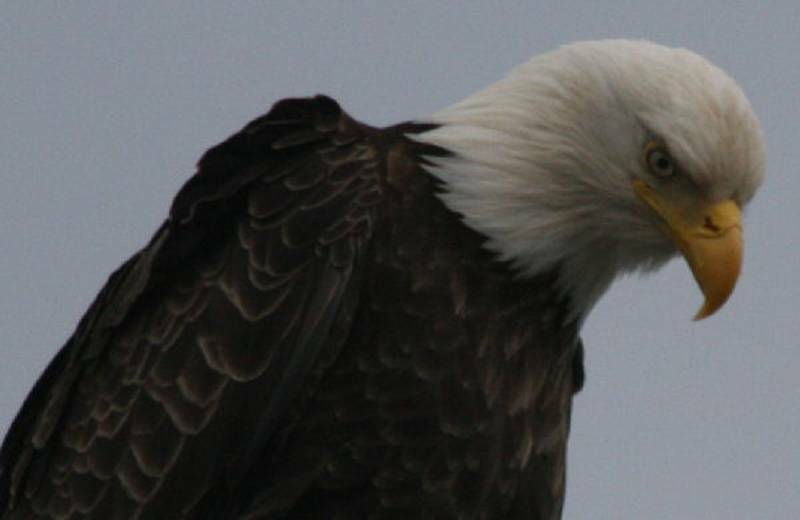 Little did we know that eagles in Homer are as thick as robins in Florida! Well, maybe not quite that thick, but you get to a point where it’s, “Look, at that big bird…oh, it’s just another eagle!” See…there’s another one watching some folks clean their fish. 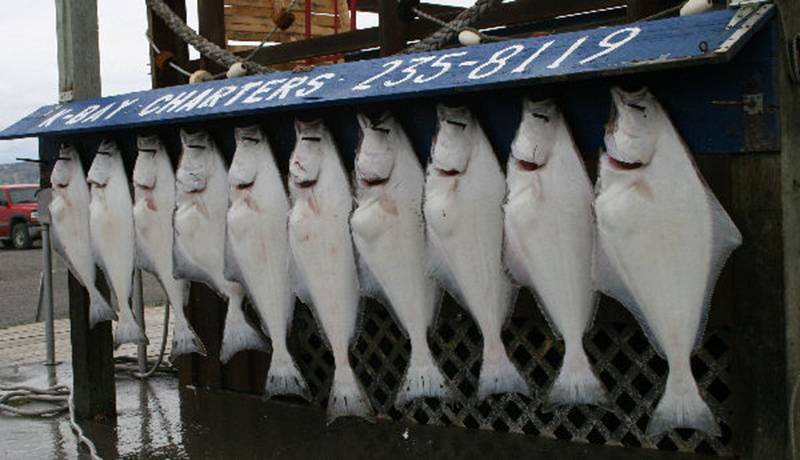 Speaking of fish…there are lots of charter boats that will take tourists out and catch a boat load of fish…seems like mostly halibut, this time of year. Here’s a typical catch from one of them. We watched the unloading and weighing in…most of these are 20 to 30 pounds. This is as close as we got to catching any…$200 per person is more that we want to spend just to have the experience. We also hung out around the “Fishing Hole” on the Spit and watched several people land King Salmon as big as your leg! 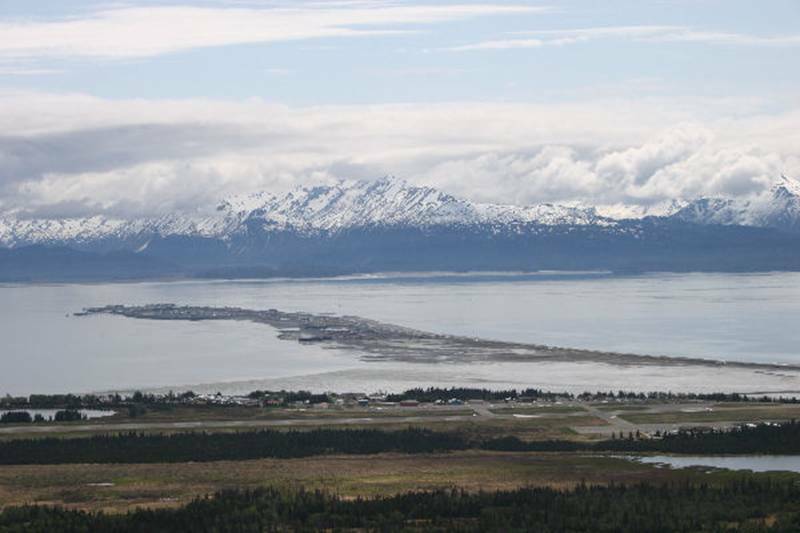 Here’s a shot of Homer Spit taken from the “skyline drive” above the city. Homer has a population of about 5000 and their new library opened last September. We did spend a couple of hours one rainy afternoon at the library. We’ve got lots more pictures of our visit, but this is long enough for this week…we’ll send some others along later. 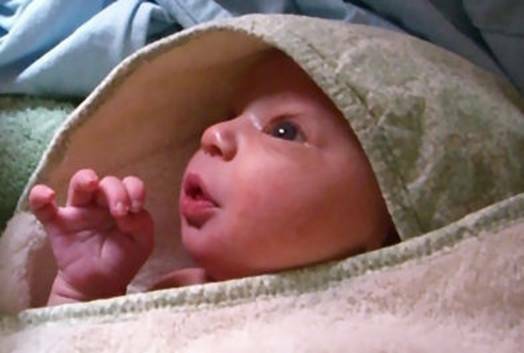 Just one last photo of Coralyn…Have you seen pictures of my grand-daughter?? ?